Two special presentations over the next two weekends will help warm some of the coldest and darkest nights of the year. 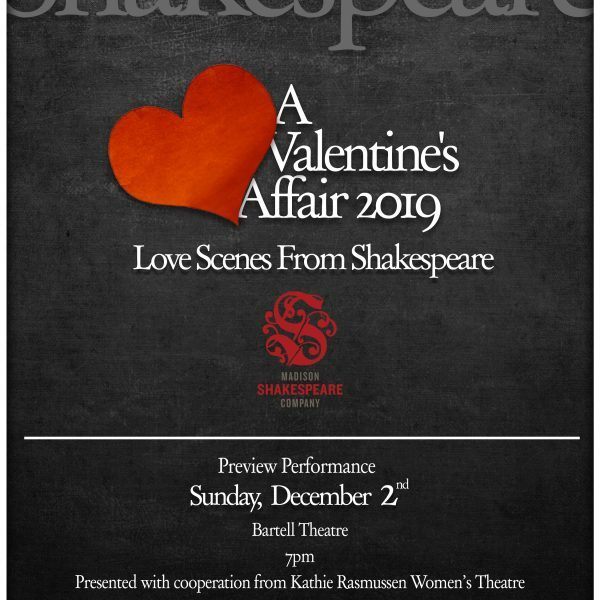 On Sunday December 2 at 7 PM, enjoy a special preview presentation of A Valentine’s Affair 2019. 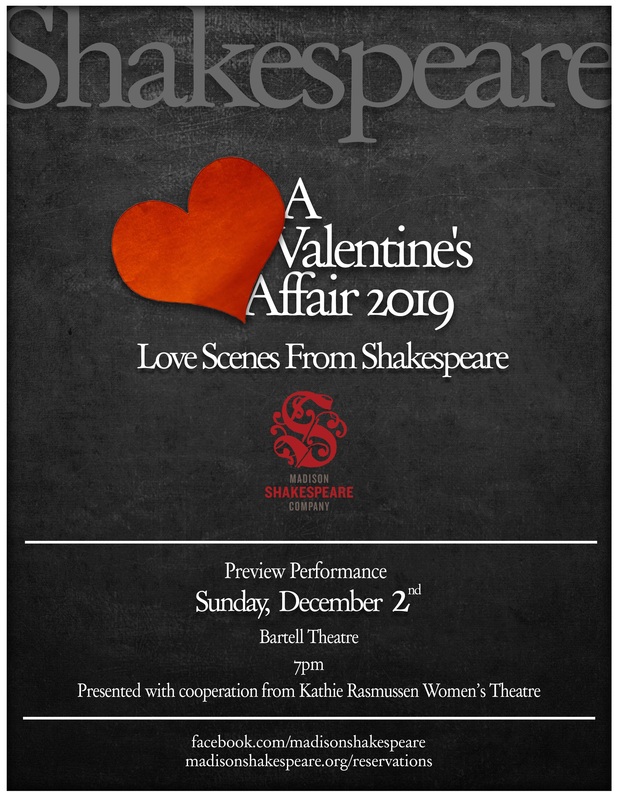 It’s six love scenes from six different Shakespeare plays, with unpredictable Sonnets From a Hat to further stir passions. 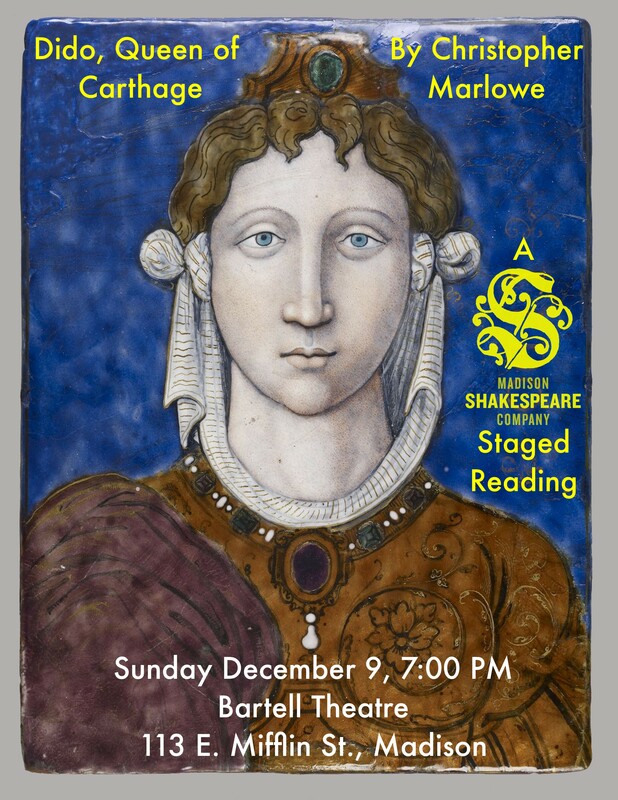 On Sunday December 9 at 7 PM, we’ll visit the confused passions that rose from the embers of Troy in Dido, Queen of Carthage. 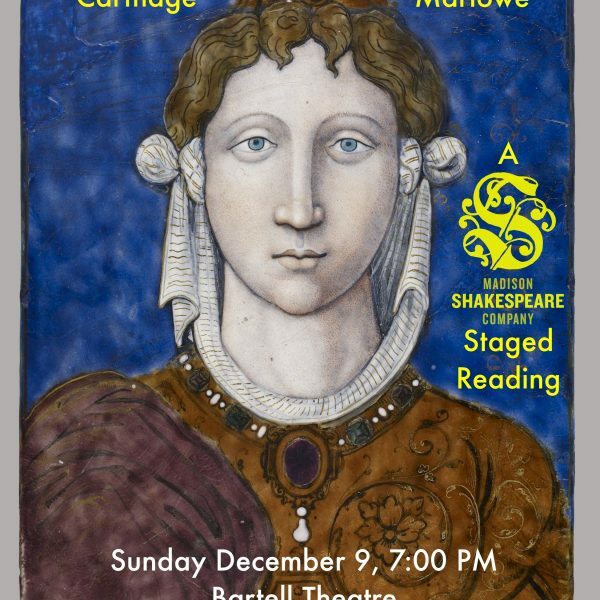 This staged reading is MSC’s second visit to the works of Christopher Marlowe. Both presentations at the Bartell Theatre, 113 E. Mifflin St. in Madison. Both are free thanks to the generous cooperation of Kathie Rasmussen Women’s Theatre (Krass) and its production of After the Revolution. Contributions to Krass and MSC gratefully accepted.